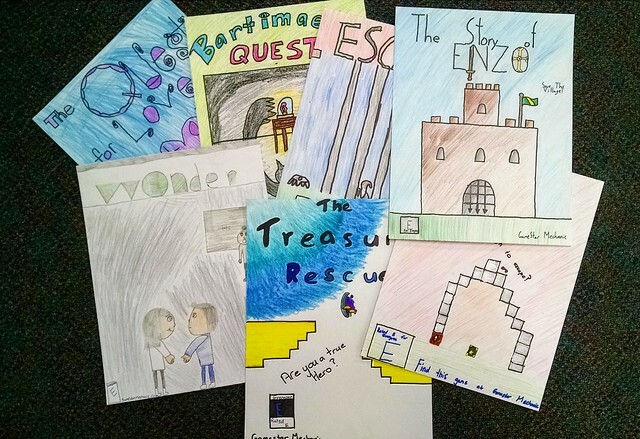 I’m continuing to share out elements of our Video Game Design Project, as my students race to the finish line with publishing and reflecting on their work of the past weeks with designing, creating and publishing an original video game with a Hero’s Journey story-frame narrative. Today, I’d like to share about our Video Game Print Advertisement Campaign assignment, in which we explore the art of advertising and then turn the students loose on making a print advertisement for their own projects. After holiday break, we will hang them up all over the room and hallways. We begin with a presentation that allows us to closely examine the way video game advertisements are constructed, noting layout, art, lettering and other elements. 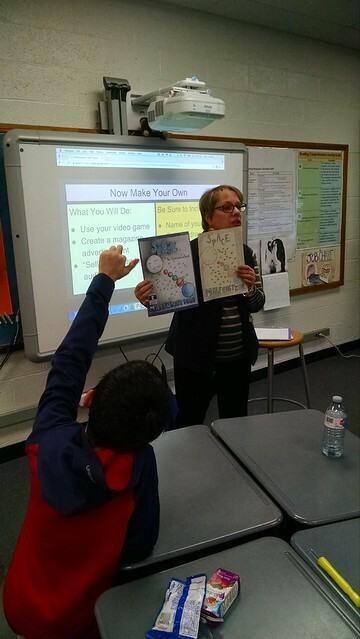 Students have to lightly draft out their advertisements in pencil, and then go through a process of creation (after proofreading): blocking out letters and images, erasing pencil marks, coloring in the page. 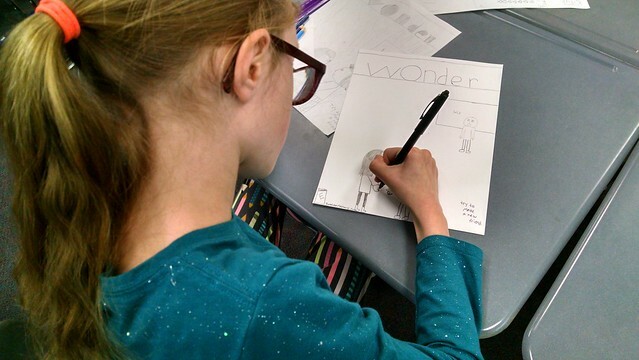 They have a lot of fun with this assignment — art connected to writing connected to design — and seeing them working so hard at something they love to do is always a nice experience. 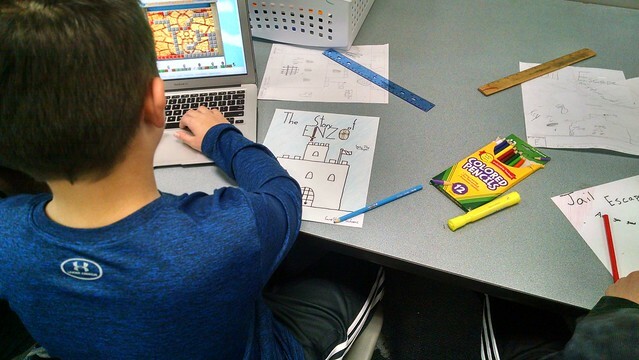 The results run the gamut — it depends on how careful a student is being, really — but taken together, the ads are always impressive and the posters become visual invitations to play the video game projects that have been working so hard on. This entry was posted in Gaming in the Classroom, my classroom. Bookmark the permalink.